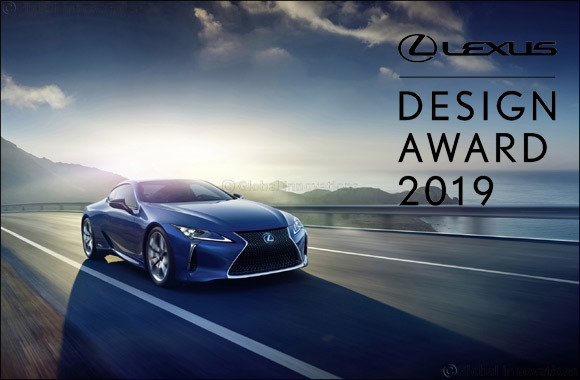 Dubai, UAE –October 8th, 2018: Al-Futtaim Lexus invites all UAE-based artists and creators to participate in the 7th edition of the Lexus Design Award 2019. Since its launch in 2013, the worldwide design competition has served as a platform for emerging designers and creators whose works can lead to a better future for all. The annual event attracts thousands of upcoming creative talents from around the world, who aspire to win the coveted award for innovative design excellence. The next-generation of designers will need to consider how their creative ideas incorporate three fundamental principles from the Lexus brand: ‘Anticipate,' ‘Innovate,' and ‘Captivate,' as well as how their designs anticipate the needs of tomorrow's society. They will have to develop innovative designs that bring fresh, imaginative solutions. The Lexus Design Award judges, whose names will be disclosed in the 4th quarter of this year, will select the six best ideas to be developed into functional prototypes with a production budget of up to JPY 3 million (over AED 99,000) each and with the support of world-renowned mentors. The prototypes will be displayed at the prestigious Milan Design Week 2019 where they will compete for the Grand Prix. Entries to the Lexus Design Award 2019 competition will be accepted until October 28, 2018.